If It's Hip, It's Here (Archives): Space Loteria (Star Wars Mexican Bingo) By Chepo Pena Is Now Ready for Purchase! 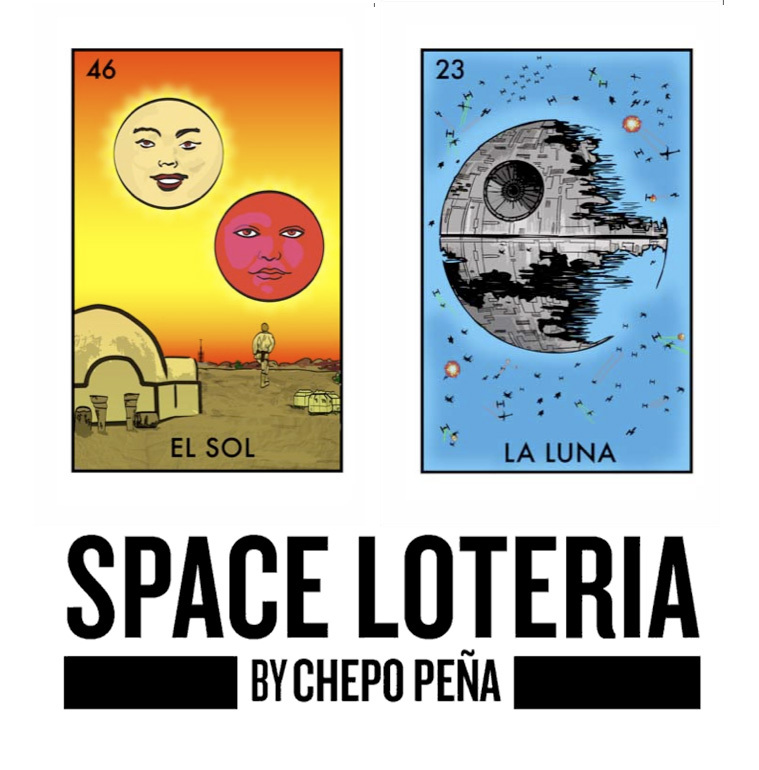 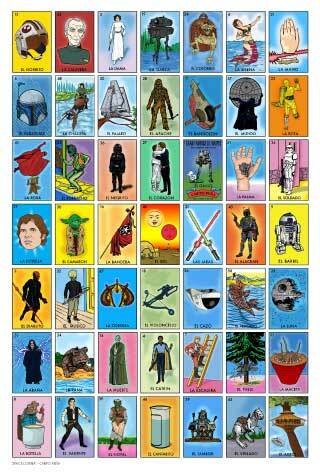 Space Loteria (Star Wars Mexican Bingo) By Chepo Pena Is Now Ready for Purchase! 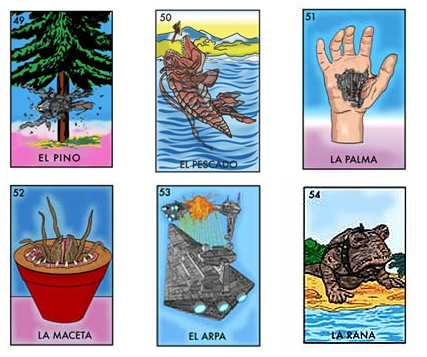 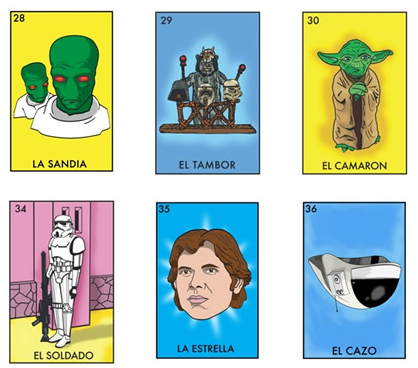 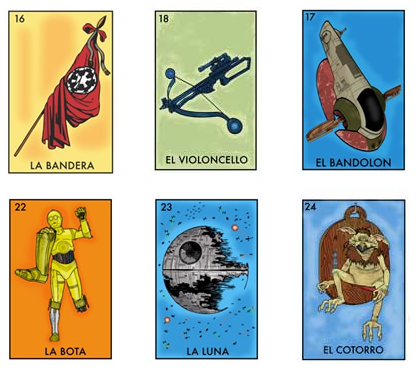 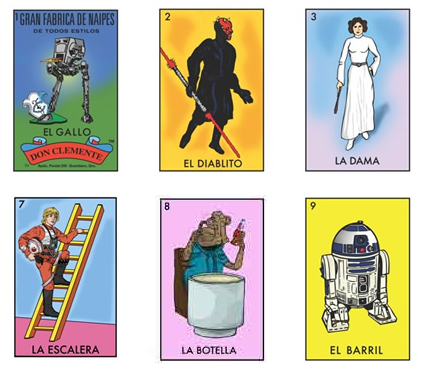 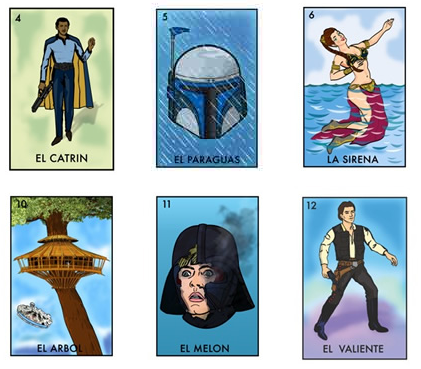 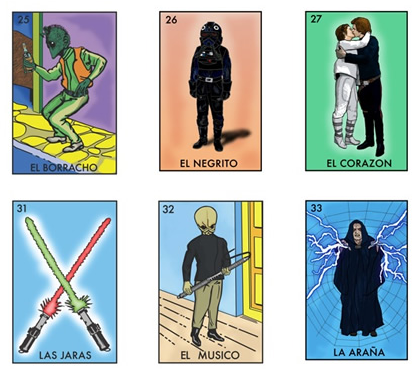 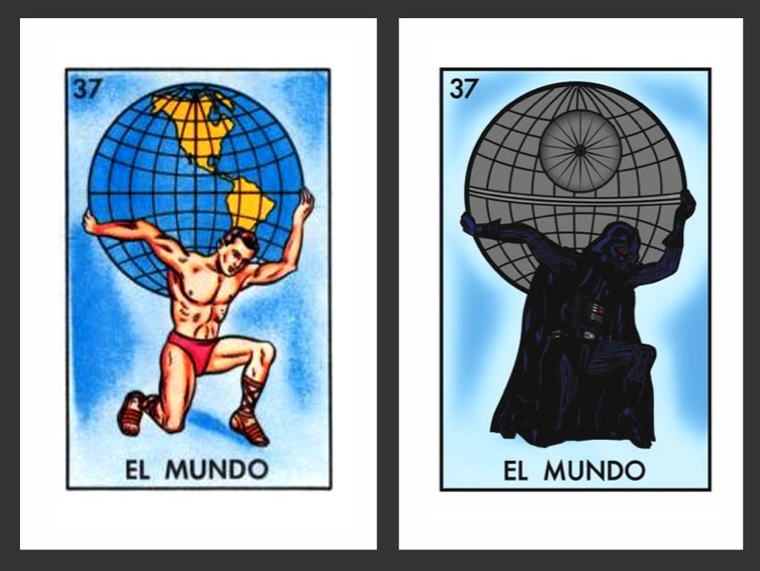 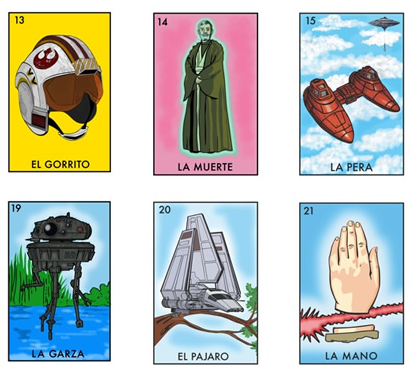 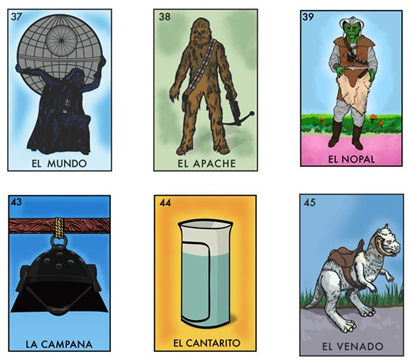 Back in May I introduced you to Chepo Peña's fabulous Space Loteria, an originally illustrated sci-fi take on the traditional Mexican Bingo game that uses Star Wars characters and references in place of the traditional icons, like the example below. 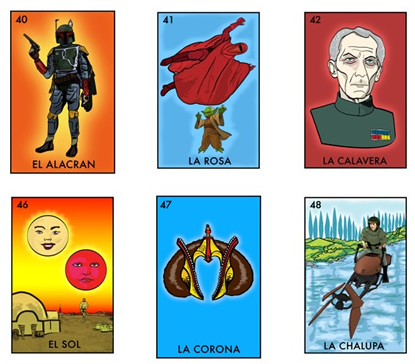 Well, just in time for the holidays, Chepo has finally finished the deck and turned it into a full fledged bingo game you can purchase. 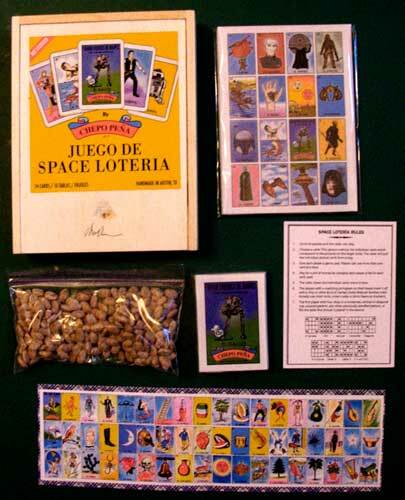 The complete Space Loteria game is entirely hand made and includes all 54 cards, 10 playing boards, and more.